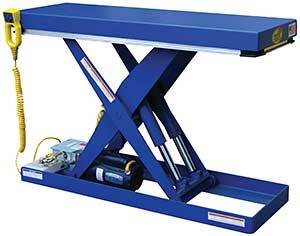 At HOF Equipment Company, we have lift tables for nearly every requirement. 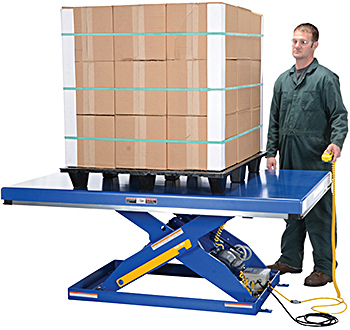 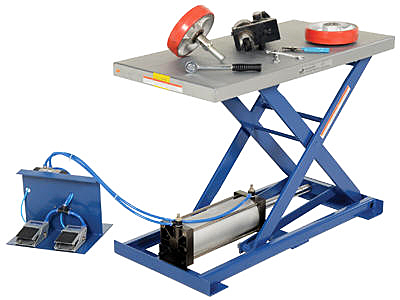 Our high-quality Vestil Lift Tables and Presto Lift Tables are most often used to raise products or materials to an ergonomic working height with the goal being to reduce repetitive worker bending. 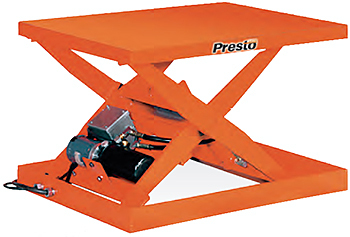 Scissor lift tables are either hydraulically or pneumatically powered. 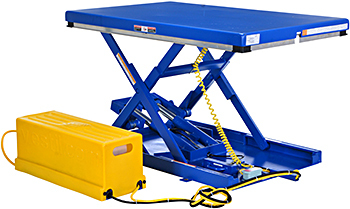 Various tables types are available including solid deck tables, U deck tables, double scissor lift tables, ground level loading tables, and portable lift tables. 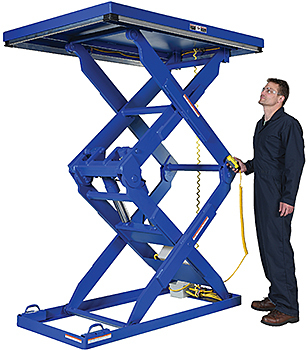 Lift heights range from 30” to 84” with capacities of a few hundred pounds up to 12,000 LBS. 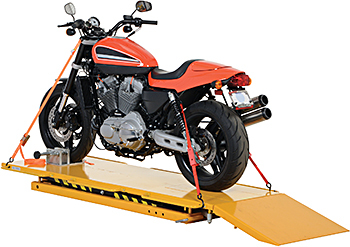 Many deck sizes including custom sizes are available. 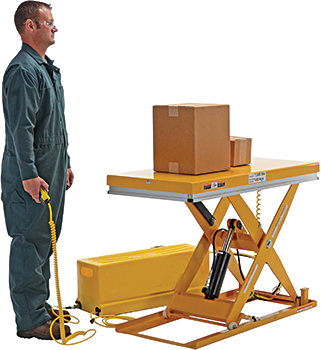 HOF Equipment Company offers lift tables that deliver maximum performance with a long service life. 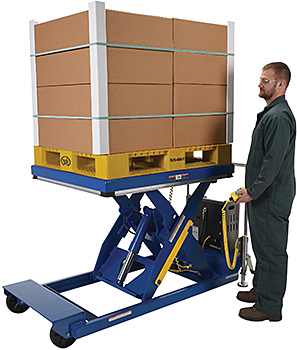 We carry a wide selection material handling equipment all at amazing prices. 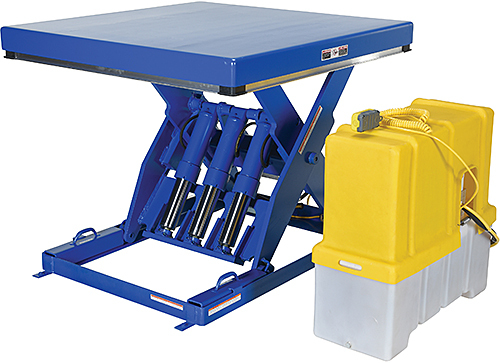 Browse our selection of hydraulic lift tables or contact us now for help in determining the right table for your specific needs!